Our children are growing up with their digital profiles firmly tattooed in cyberspace. These footprints are initially created by us, the parents, grandparents, guardians and carers. The moment we share a treasured memory with others, we have commenced it. We need to ensure we demonstrate responsibility and respect when it comes to their use and display. The first case of a child taking their parents to court over images they put online and refused to remove has just gone to court in Austria. The world is changing and we need to keep up with it. 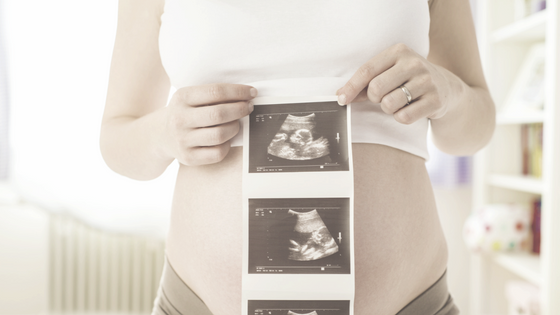 For many of us, the first excited images of an Ultrasound are the photos we that we share with our friends. These are beautiful and special moments. I have most recently done the very same thing with the image of my first grandchild (I know.. I look too young to be a grandma, but boy am I excited!). There were a few considerations before anything was posted.. Firstly I made sure it was ok to share the image and only after my daugher had shared it. Secondly I removed any information from around the image such as date of birth, date of scan etc. Finally I did not give an indication of the due date. I am someone who believes[clickToTweet tweet=” its important to share our life’s journey with our family and friends” quote=” its important to share our lifes journey with our family and friends”]. It keeps our bonds closer, and maintains our sense of belonging (like the old village). However because of potential risks, we do need to be more wary. Some people will choose never to share a single image. I think our communication is evolving and new technologies will come into play to protect privacy again. It is the consumer who needs to create the demand. With augmented and virtual reality and whatever comes after, I have no doubt images wont need to be displayed on a screen anymore in the future. Who knows, it’s exciting! We don’t want to overreact. I recall a time when schools were banning hugging due to fears of accusations of inappropriate touch. How sad when we know that human touch is one of the most comforting things, when its appropriate. We don’t want to risk society becoming so afraid that we turn cold. Everything is about balance and awareness in the online world. What happens when your child comes of age? Like the issues of copyright of images within the commercial sector, there are increasing issues with privacy of personal images. Although a parent may argue that images taken of their children are their property (and we agree to a point), [clickToTweet tweet=”there are times where a child may not want a particular image or images to be in the public realm” quote=”there are times where a child may not want a particular image or images to be in the public realm”]. “But I only put them on my personal profiles” I hear you say. Unfortunately nothing is truly private online. As soon as you invite anyone else to look at an image there is a potential for it to be shared. As parents we are responsible for our children until they reach an age whereby they take control of their reputation for themselves. Being mindful of the images we take which a future employer might come across is just as important. Dressing our children up inappropriately as has been on the news in recent times is ofte more about our adult needs and entertainment. We should not use our children to make our statements. An even more delicate area can be where a child has a disfigurement or disability. We are proud of the strength they show and their achievements, but as they grow will they appreciate having images of surgeries etc in the public domain? Taking our own egos out of the picture is really hard. We do our best as parents and especially if there is an additional challenge to parenting, it’s natural we want to share wins and the like. Just consider where you share. We need to demonstrate to our children how valuable and precious their online reputation is. 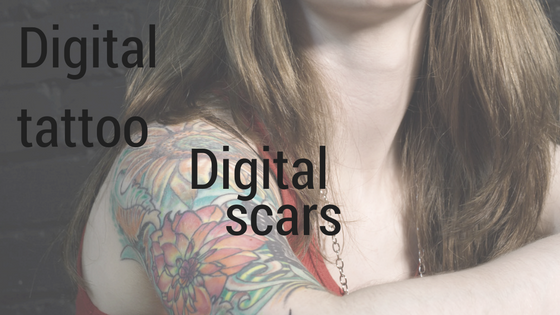 Consider the digital scars that could potentially be left behind. If we as the adults, show no consideration, how do we expect our children to respect themselves? An image that we find funny or cute, could later become the reason for relentless teasing and bullying. An innocent image of your child playing under the hose in summer could potentially fall into the hands of pedophiles who may reproduce it elsewhere. Just as a tattoo is permanent (or ver hard to remove), so we should consider just what scars we might be leaving behind. The issue arises because once its posted onliine we can easily lose control of the image. It may get shared far and wide or easily copied. I often ask parents, what would they have felt if their parents had blown up a big family photo of them when they were teens and put it on a billboard outside the house? Most would have been mortified. Yet with think nothing of posting images which are effectively billboards. What about images of other children? It starts with agareements with your family and friendship circle. What can be shared and how. Make sure you ask permission to share photographs of your children’s friends before posting them online. Every family is different. If you have to blur out faces, then do it. Be mindful of photographs in school groups. 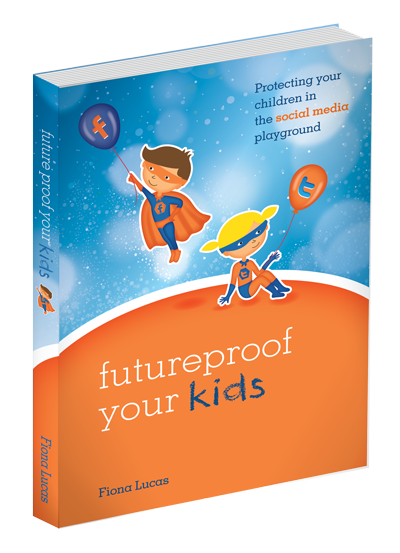 There may be children who are in protection and posting an image might put them in danger. Always ask. Encourage your children to learn to do the same. They should not share or post images without permission. It is all a matter of respect. Putting a few guidelines into place as soon as possible is ideal. This way it becomes the “norm” in your family. Starting with good guidelines while your children are young makes sense. Where tween and teens are concerned, it is really important to engage them, to listen and to involve them in all discussions. It came as no suprise to us to read of a young girl taking her family to court for refusing to take images down after requesting they do so. Avoid posting new born pictures on the day of birth and with full name. Try and stagger the announcement and any pictures you wish to post publically. Create a family group or friendship groups for sharing special moments. Images could still be copied, but with an agreement and trusted friends the risk is much less. Respect your children’s privacy and needs. If they ask you to remove an image from a social media platform or online photography platform, then do it. 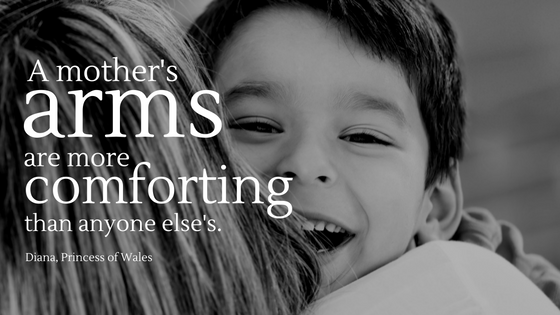 Our children are on their own journey through life and it’s important to respect their needs. A recent article concerning a teen instigating legal action against her parents in Austria can be found here. AMAZON NOW. CLICK TO BUY. This is interesting. I am sure there will come a time that there will be more lawsuits particularly from those children who are not happy with what kind of photos were posted. Imagine those parents who post humiliating photos thinking those are cute or funny. Very true Loril. We have found that often teasing, which might lead to bullying starts over images a parent posts. We need to be mindful and remember when we were young! Wow, so much to take in and some very valid points. so interesting to read about this. We are certainly living in different times. I can understand the invasion of inappropriate photos or those that list details about the child. But I would not have thought we were at the point to worry about getting sued over an image. Food for thought. Being wary of all the implications is so important. thanks for sharing. It is such an unfortunate situation to have a child take legal action, when all the parents had to do was respect their request for privacy of their images. It’s just a matter of respect in the end. What a great blog post! We are now using Secret facebook groups to share family photos. Changing world we live in! Groups do seem to work for many people. It is a way of limiting who can see whilst allowing those you want to share access. I think of it as the old photograph album. You used to have to go to someones house and look through the album. This way you can show people from your device if you want to but you still maintain a higher degree of privacy. Thanks Brenda. That’s wonderful that you model respect. There are always the family pets to fill the feed ha ha! Such a valuable post… my issue isn’t me posting my kids… as they weren’t on social (meaning pics) when they were younger as it didn’t exist… but only the last 7 years or so… However, the bigger problem are the kids themselves who don’t get it.. that you just can’t post everything, cuss and snap revealing pics and expect them to disappear… sadly! Thanks Suzii. There is a lot more work to be done in this area. There definitely seems to be a different view as we have the generations coming through who have been exposed to social media platforms all their lives. As they get old, as much as we think they don’t value their privacy, they do. Most certainly as teens they want to try and control and direct perceptions of them, so the way they are portrayed seemed to become more of an issue. We thought something cute, they find it embarrassing and we have to respect that, because they didn’t get a choice when the images were first posted.